U.S. District Judge Brian Morris of Montana said in a ruling Aug. 15 that the State Department must supplement its 2014 environmental impact study of the project to consider the new route. Morris declined to strike down the federal permit for the project, approved by President Donald Trump in March 2017. The Nebraska Public Service Commission rejected pipeline developer TransCanada’s preferred route in November 2017 but approved a different pathway that stretches farther to the east. The “mainline alternative” route is 5 miles longer than the company’s preferred route, cuts through six Nebraska counties and runs parallel to an existing TransCanada-owned pipeline for 89 miles. It’s not clear whether the additional review will delay the 1,184-mile project. 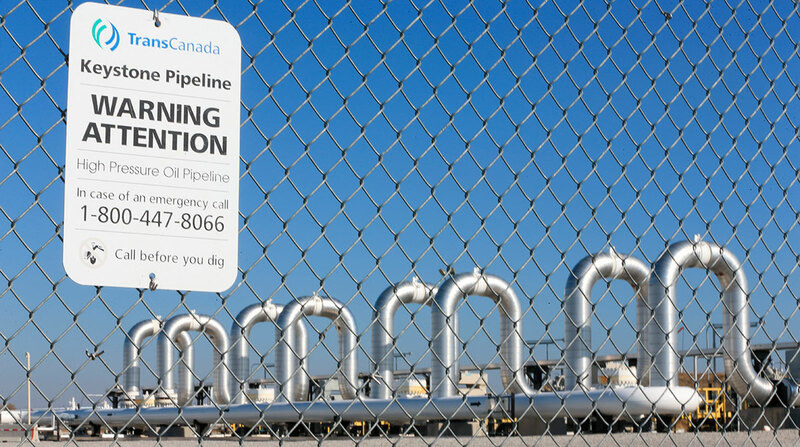 TransCanada spokesman Matthew John said company officials are reviewing the judge’s decision. Environmentalists, Native American tribes and a coalition of landowners have prevented the company from moving ahead with construction. In addition to the federal lawsuit in Montana that seeks to halt the project, opponents have a lawsuit pending before the Nebraska Supreme Court. Oral arguments in the Nebraska case aren’t expected until October. The pipeline would carry up to 830,000 barrels of crude oil per day from Canada through Montana and South Dakota to Steele City, Neb., where it would connect with the original Keystone pipeline that runs down to Texas Gulf Coast refineries.